What I found interesting about this Tarot layout is how it follows plot diagram and presents a basis for a character sketch. It can be used a writing prompt or self discovery evaluation of one’s goals & intuitions. Gray even describes a reading presentation as a story. The Querent ( individual seeking answers) is in fact the Protagonist ( central Character of the narrative, often narrowly defined as the hero – we are all heroes in our own story, to others, we’re just another layer in their own narrative sandwich ) . If we look at the layout card sequence and each placement role , we see the rough introduction/establishment of a character & setting, that is then followed by a plot outline based on a mixture of events and internal & external forces that impact/influence the protagonist. 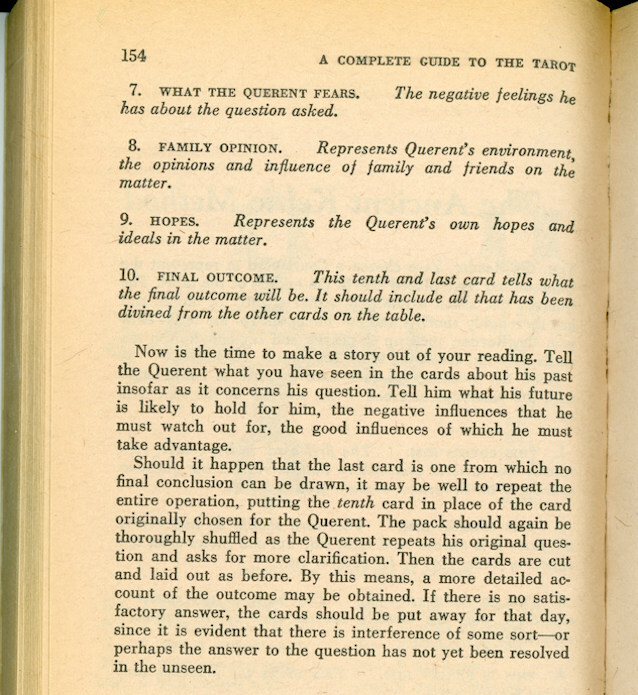 The first card is the psychological & social setting (forces) that influences the protagonist in achieving their goal (the question asked by the Querent). This also establishes the archetypal quest pattern of the plot. 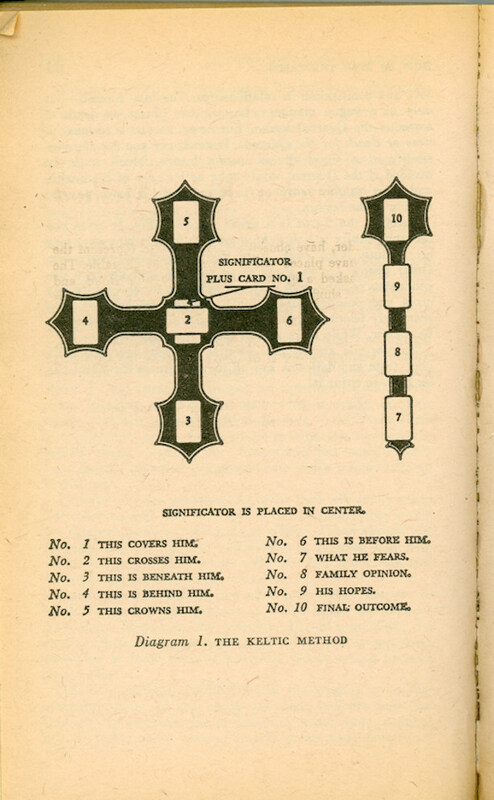 The second card Crosses the Querent. It identifies the opposing forces (for good or bad) in conflict with the achieving the goal. As in any narrative, there must be an Antagonist, whose nature dictates the type of conflict faced by the Protagonist, Inner, Environmental, Social, or Specific Individuals. The third card represents the Protagonist’s background & possible subtext of the narrative. The fourth card establishes further aspects of the Protagonist’s recent experience and current state at the opening of the narrative. So the first four cards represent the introductory Exposition of the narrative, and suggests approaching conflict(s) that may or will shortly arise. 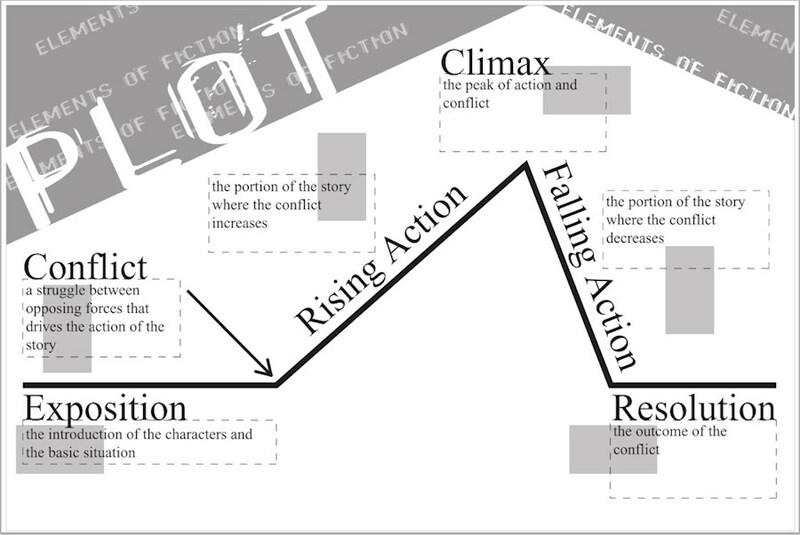 From here on the layout moves into the Rising Action of a narrative. 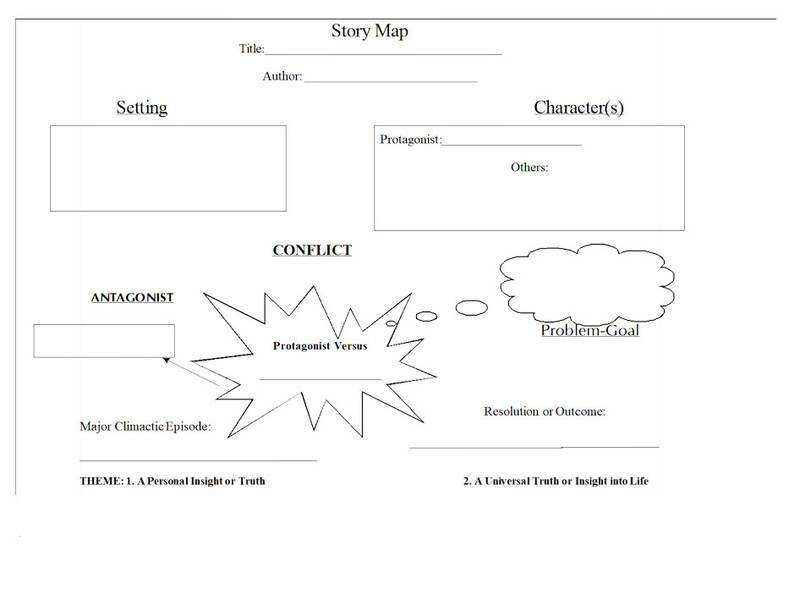 This is where the conflict increases and the Protagonist faces a series of crises. The fifth & sixth cards present potential crisis event points. The seventh card suggests inner conflict, while the eighth card represents the social & familial conflicts/influences . The peak action and conflict , as well as the falling action, is left to interpretation of the reader (composer of the narrative) . The final two cards represent Resolution or Denouement . This Tarot Layout, as you can see, effectively presents elements of character development and plot structure. 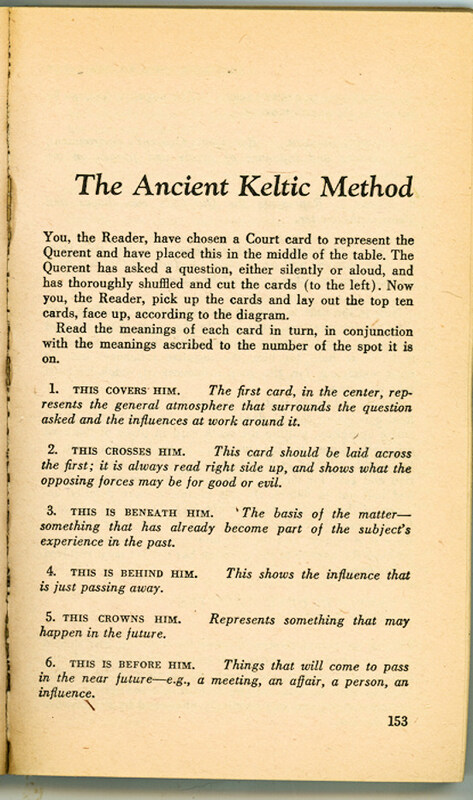 Used in conjunction with random cards from a shuffled Tarot deck, one can build a prompt for narrative of varying length, whether using prose, verse, or some form of script (comic, movie, theatre, or television). The layout, even in combination with the actual cards, is an implied space to be filled in with creativity, intuition, and personal insight, and perhaps, just a touch of synchronicity. Note: Clicking Tarot images will open pages from my Dark Pines Photo blog, where the images were originally posted. Other Tarot posts can be also found on this blog site.